Beaverlodge offers one of the most spectacular views of the Rocky Mountains and rolling river valley landscapes in Canada. It is believed that Saskatoon Mountain, accessed 4 miles east of Beaverlodge on Hwy 43, escaped glaciation and sat astride an ice-free corridor linking Asia and North America. 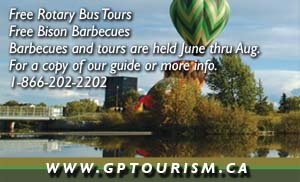 This route may well have accommodated the first Albertans and possibly the first North Americans. The South Peace Centennial Museum is the largest of its kind with working, steam powered farm equipment, and is open mid-May to mid-September. The Rio Grande Rodeo and the Jones Country Jamboree are held in early July. Pioneer Days takes place over the third weekend in July, with musical entertainment, antique vehicles and steam powered machinery. The Country Gospel Jamboree is in early August. Autumn Festival is on the second Sunday in September, featuring a pig roast, heritage displays and petting zoo. The Beaverlodge Area Cultural Centre was created from the vision of local painter Euphemia McNaught, who dreamed of preserving the art and culture of the community. The art gallery is open daily and features a pink tea room, a stained glass wall based on McNaught’s artwork, and a gift shop. The Centre showcases many top-knotch western Canadian artists and craftspersons. Beaverlodge is home to the Federal government’s Agriculture Canada Research Farm, where the staff is widely recognized for their work on honeybees and Saskatoon berry cultivation. The Pacific Regeneration Technologies Tree Nursery features 7 acres of greenhouses, annually producing 11 million spruce and pine seedlings. 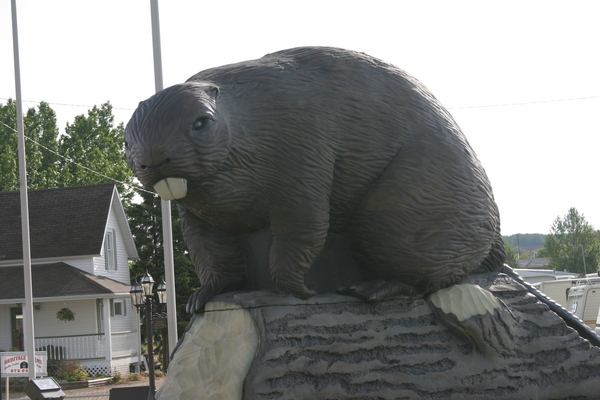 A remarkable roadside attraction on the highway corridor is the giant beaver sculpture measuring 15 feet high, 28 feet long and weighing 3000 pounds, surrounded by interpretive signage including the history, habitat and behavior of the animal. 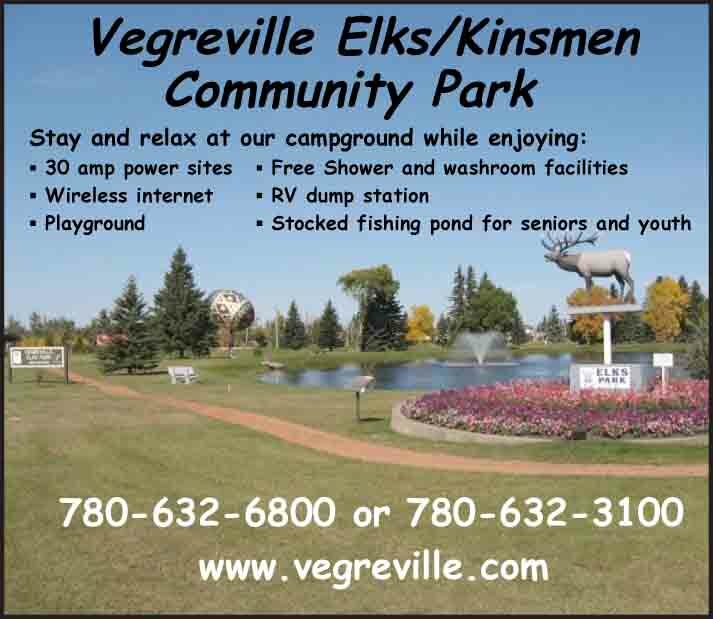 The town offers a full range of recreational facilities and services including camping at the Riverbend Golf and Country Club west of Beaverlodge, nestled among the trees and bordered by the Beaverlodge River. The clubhouse is an historic landmark, built in 1929 as a Northern Alberta Railroad station. Spring Lake Winter Resort is located northwest of Beaverlodge and offers downhill skiing, 6 miles of groomed cross country trails, snowshoeing and ice fishing for 10 pound trout.